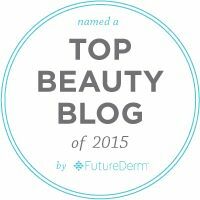 Are you craving a delicious skin care experience, this holiday season? Perhaps you are trying to find just the perfect little get gorgeous indulgence for a family member or cherished friend? 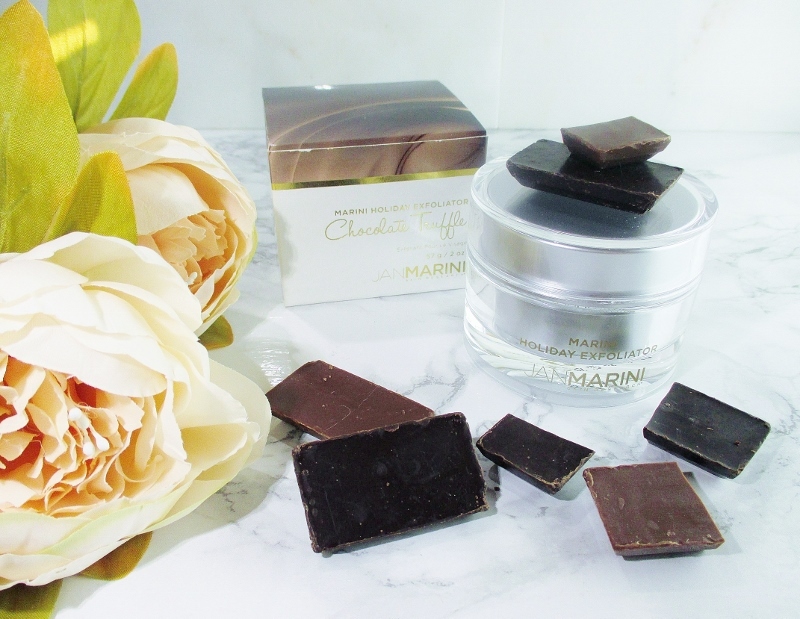 Marini Holiday Exfoliator is a chocolate truffle treat packed with all of the fabulous skin improving ingredients that your complexion craves along with real cocoa for a sensory experience that is second to none. Marini Holiday Exfoliator is a lush treat for your face. This limited edition scrub combines Glycolic Acid and Proteolytic Enzymes including Papain from green, unripened Papayas and Bromelain from Pineapple to gently yet effectively exfoliate, brighten, refine skin texture and improve the appearance of pores. Dimethicone filled particles are gentle physical scrubbers that release a skin protectant that provides a silky finish. 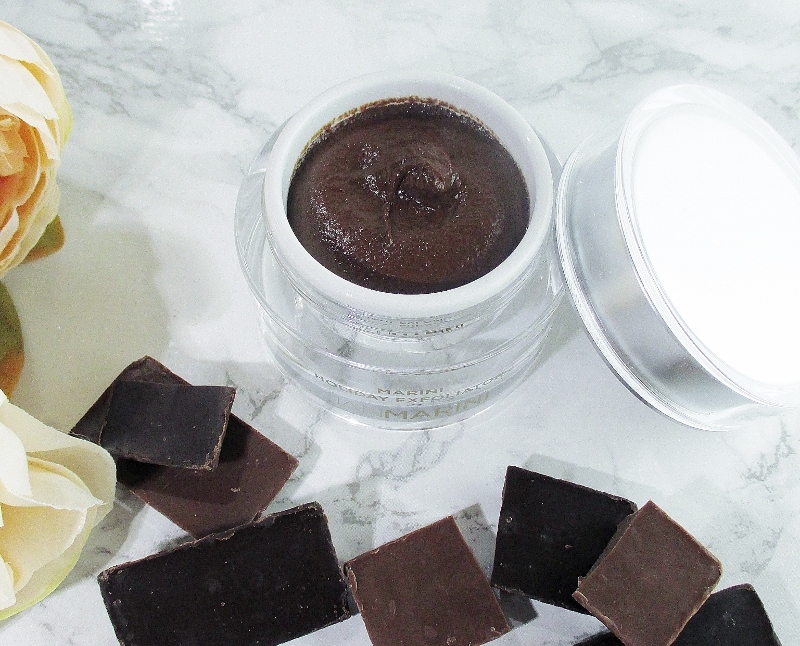 Marini Holiday Exfoliator contains cocoa powder, not artificial colour or fragrance. Real chocolate. Chocolate contains Flavonols, powerful Antioxidants that help your skin to protect it's self from UV damage, fight free radicals and and increase blood flow for that coveted youthful, dewy glow. And let's get honest, here. What makes us happier than the scent of real, lush chocolate? 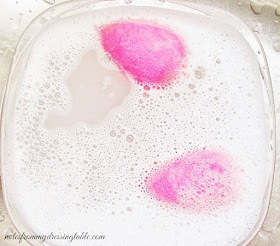 Due to the natural fruit acids in this scrub, you may experience mild tingling or stinging. This is normal, very temporary and should not linger. A little surface pink or redness is also normal and again, shouldn't last for long. If you have very sensitive skin, test in a small spot and carefully assess any reaction before you use this scrub all over your face. Glycolic Acid exfoliates and encourages the production of new fresh skin that should be assiduously protected with a high SPF sunscreen (I recommend mineral, of course), every day. Marini Holiday Exfoliator is Paraben Free and kind to furry creatures. Are you ready to treat yoself or someone you love? Head over buy one for you and one for someone you love! You can connect with Jan Marini on Facebook, Twitter and Instagram. Fashion Flash on Prime Beauty is Live! Fashion Flash | Do Not Hot Flash - Fashion Flash!